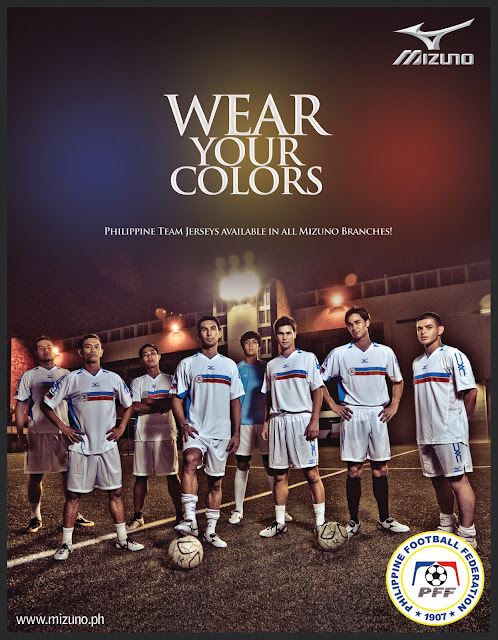 If we are to gauge the performance of our men's football national team (represented by the popular Azkals) the last two years since that eye opening Suzuki Cup performance, then, indeed, we can now say that finally, Philippine football has arrived. Their performance in the on going friendly games against long time regional tormentors, Malaysia and Indonesia has cemented that observation. Gone are the days when those two ASEAN neighbors, long dominant in the regional games, would outclassed our national teams by such forgettable scores as 7-2, 8-3, margins considered in football as massacre. Now, they can not intimidate us anymore. Now, they can not under estimate us anymore. Now, they are showing us respect. Last week's friendly game in Malaysia against the host nation was played to an exciting and fighting draw. The team was not even complete with the inavailability of the Younghusband brothers and Neil Etheridge sitting out a one game suspension. In their last friendly a few months ago, played at Rizal Memorial, Malaysia was just lucky to even the game scoring in the closing minutes of the game, following a lapse in defense. Up 1-0 then with time ticking out, it could have been a sweet victory for our revered Azkals. Last night's game against Indonesia played in our own turf was also another heart rending game. Played in rain, it was marred by a bench clearing altercation following a Malaysian foul and which resulted to two red cards issued for the Philippines and one for the visiting Indons. But it proved beneficial on our side as the penalty kick which resulted on that early foul prior to the altercation resulted in a beautiful goal, courtesy of our No.1 scorer, Phil Younghusband. A penalty kick, a header pass to Phil in a crowded area in front of the goal, which he simply volleyed to a stunned Indon goalie. It was a goal tying kick, 2-2, on the 80th minute which droved the highly partisan crowd in frenzy and uproar. Angel Locsin, wherever she maybe at that time, could have surely jumped from her seat. Now, the Azkals are flying to Bacolod for their 3rd friendly match against Guam, minus the hometown favorite, Ilonggo star and team captain Chieffy Caligdong who was one of those given the red card. How I wish the prolific Stephan Schrock will be there but he did not play last night because he flew back to Germany on an emergency. Philippine football has still a long, long way to go to even just be a contender in Asia, much more in the world. A generation or more perhaps. The question lingering in our minds will be: after Azkals, what? They will aged, most will go back to their country where they grew up, mostly in Europe. But now, even for just the popularity and attention revived, and the grass root development that we now see, Sportydad is happy. Happy in the thought that I have something to cheer about in the sport I first loved, the sport I first played even before I entered school.